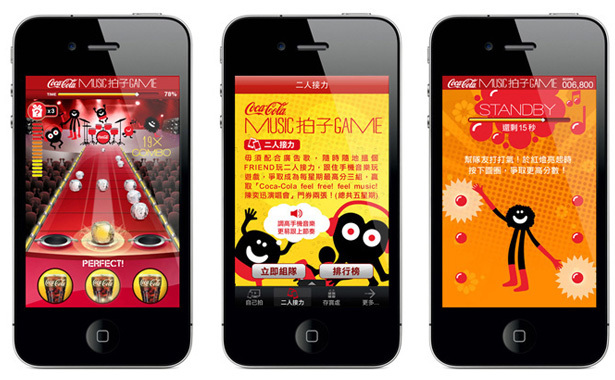 With the success of Coke Chok App last year, this summer KITCHEN has once again created an addictive App game for Coca Cola. 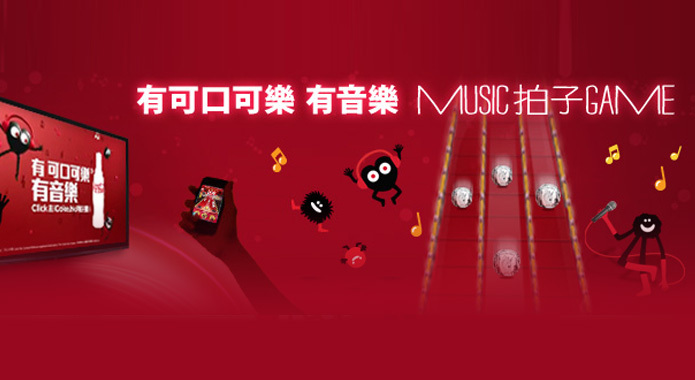 Play-along with the Cola-Coca TV commercial by tapping at the right beat with Eason Chan’s singing, 「Music 拍子Game」is a new interactive gaming experience combining Mobile App and TV Commercial. Within just 3 days, the App became the top one free app in App store. Almost 200,000 installations within five weeks and more than 7,000,000 lucky draws were recorded. Check out our amazing app and get your fingers ready to dance when the beat is on! Both single-play and team-play options are available. Download the App and play with the TVC now! First time player please use this pin code: 123456789a.